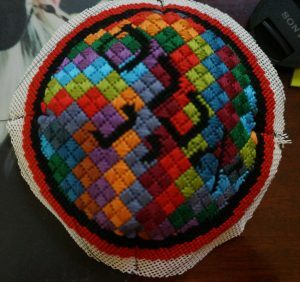 How to finish off a needlepoint kippah. As an example the mosaic needlepoint yarlmuke has been made with four blank triangular areas. These are the “darts” which will be sewn together to give the yarmulke its shape. 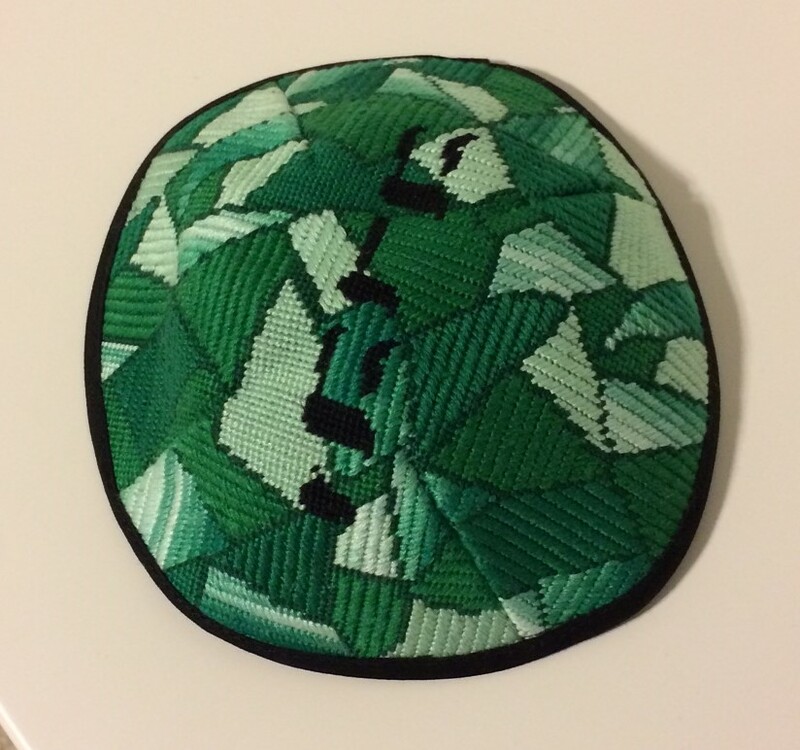 After your yarmulke canvas has been stitched and blocked, trim the canvas leaving a ¼ boarder beyond the stitching. Save this extra canvas and use it as a pattern for the lining. I recommend using 100% quilting-weight cotton for the lining. Mark darts on the lining to match those of the yarmulke. Sew the dart on the canvas together. Steam press the edges of the darts to one side, so they lay flat and form a smooth rounded shape on the top of the yarmulke. Repeat for the lining, pressing the dart in the opposite direction of the direction that you pressed the canvas. With wrong sides together, stitch the lining and canvas together at the edge of the needlepointing. Trim as needed so that the ¼ inch bias tape can be attached to the outside edge, covering the unstitched canvas. 1 package Wrights’ ¼ inch double fold bias tape. I stitched the yarmulke, lining, and bias tape on my home sewing machine, but it can also be hand stitched, which will take just a little bit longer. At NeedlePaint, let us create a custom yarmulke canvas for you to stitch! Are you looking for that special gift that will be cherished for generations to come? 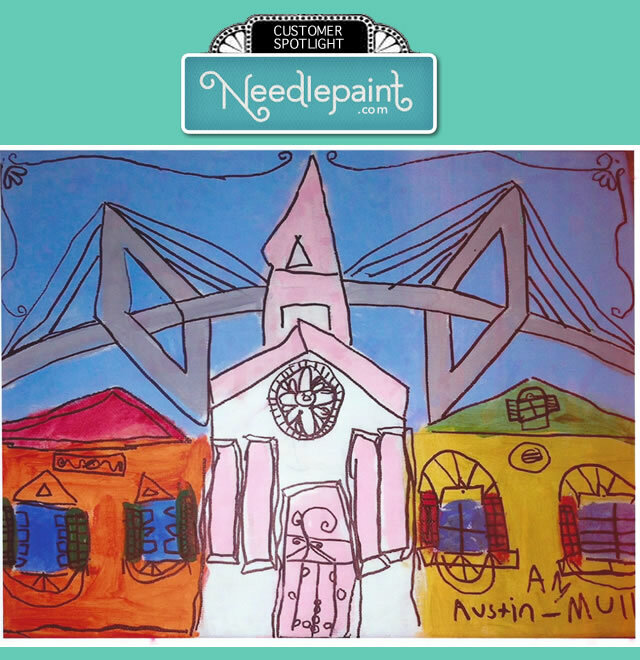 We’ve got a LOT of ideas here that are sure to not only show off your talent as a needlepointer, but that are all sure to be loved by the younger generations who often seem to be too busy to learn the art of needlepoint. 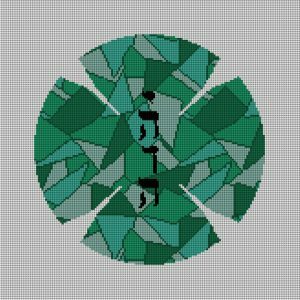 For the beginner stitcher. 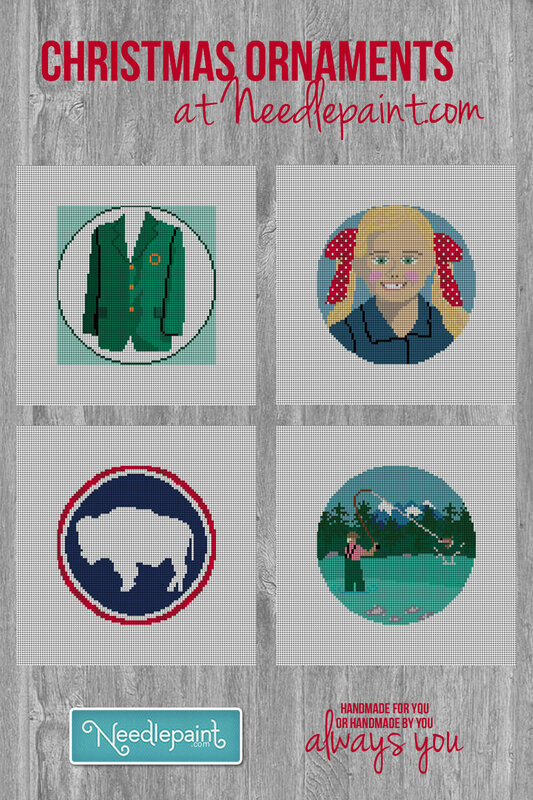 We’ve recently added some great Christmas Needlepoint ideas that are smaller and simple, but for the experienced stitcher, leave plenty of space for fancy stitches to spice up. 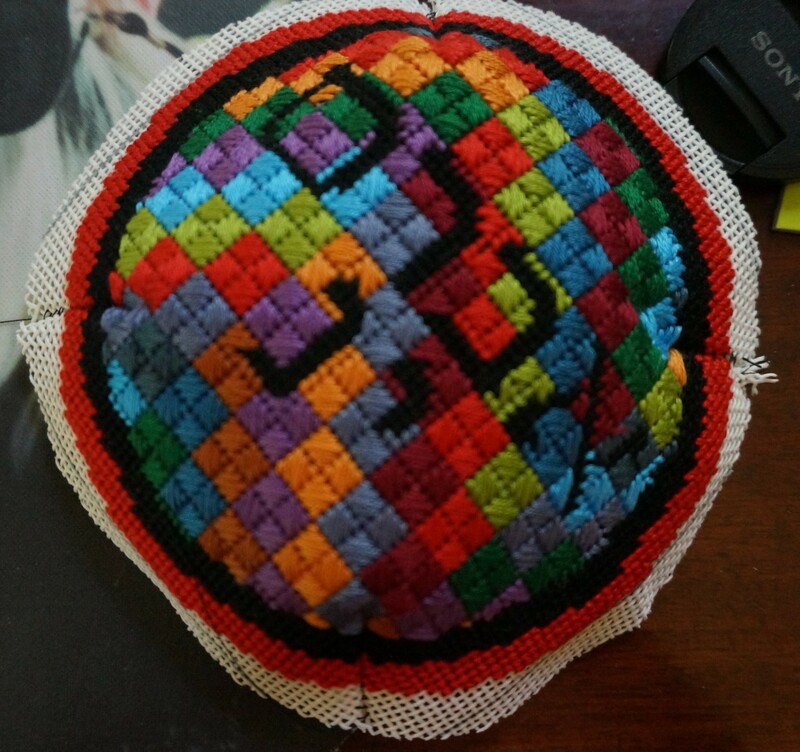 Needlepoint Ornaments are small and quick. 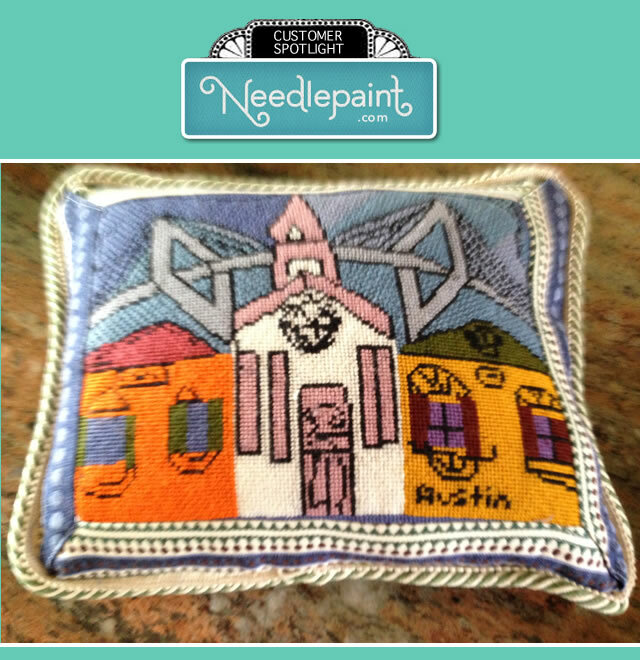 Our custom needlepoint ornament listing lets you decide what to stitch! 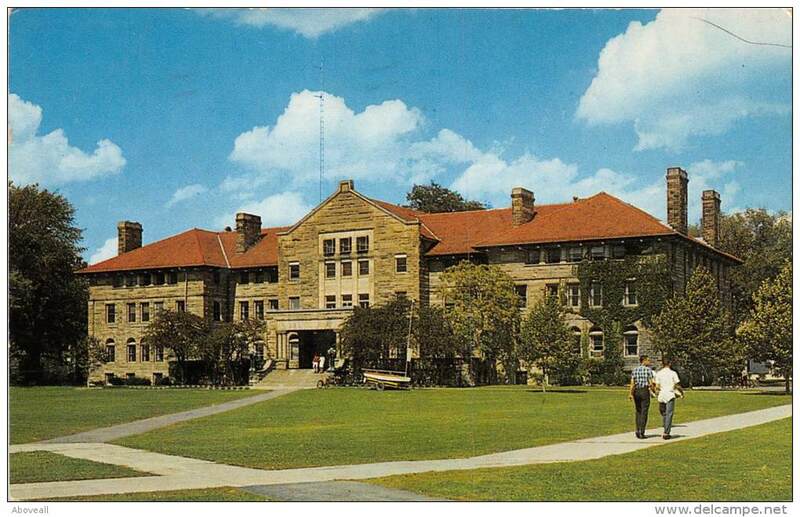 Think of a favorite photo, pet, old home, sport, or cherished memory. 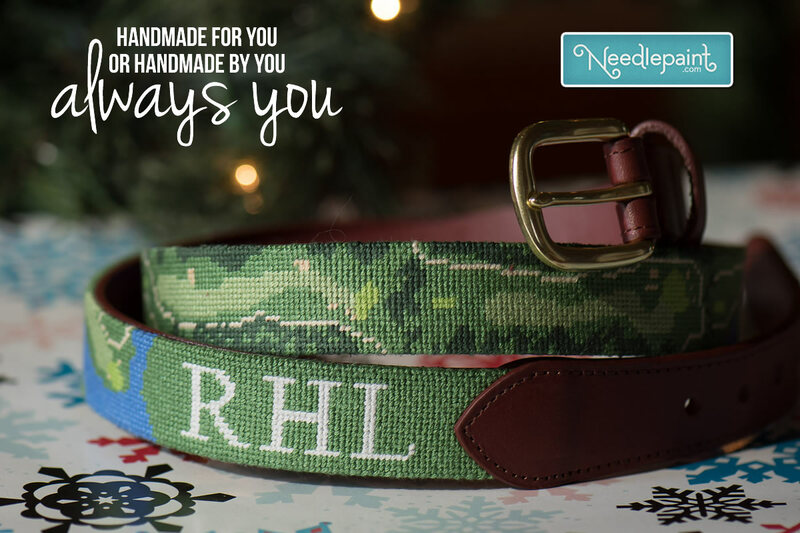 A Custom Needlepoint Belt will be a huge hit under the tree. We offer custom designed needlepoint belt kits, or fully stitched needlepoint belts. Needlepoint Wallets and needlepoint Flasks are both easy projects for beginners and we now offer leather finishing as optional extra. 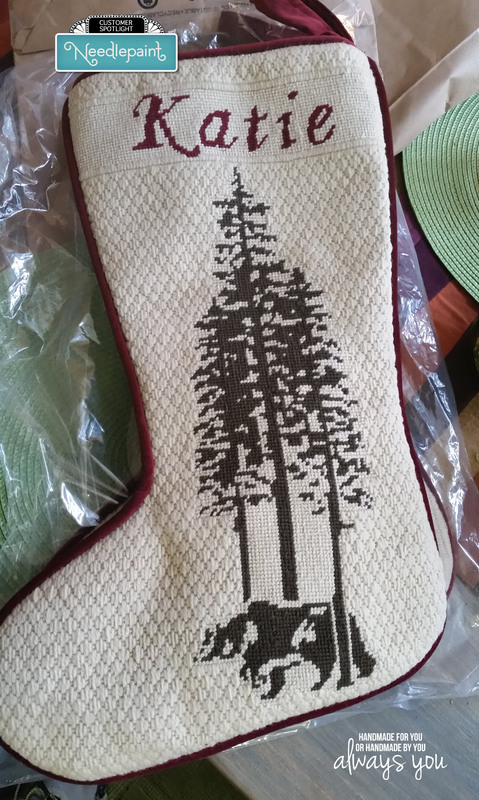 And the my personal FAVORITE, a Custom Needlepoint Stocking! 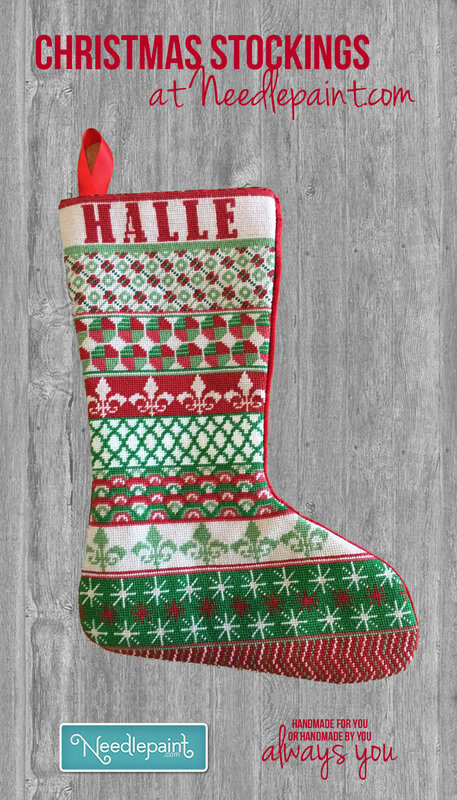 We’re now happy to offer fully stitched and custom needlepoint stocking kits. 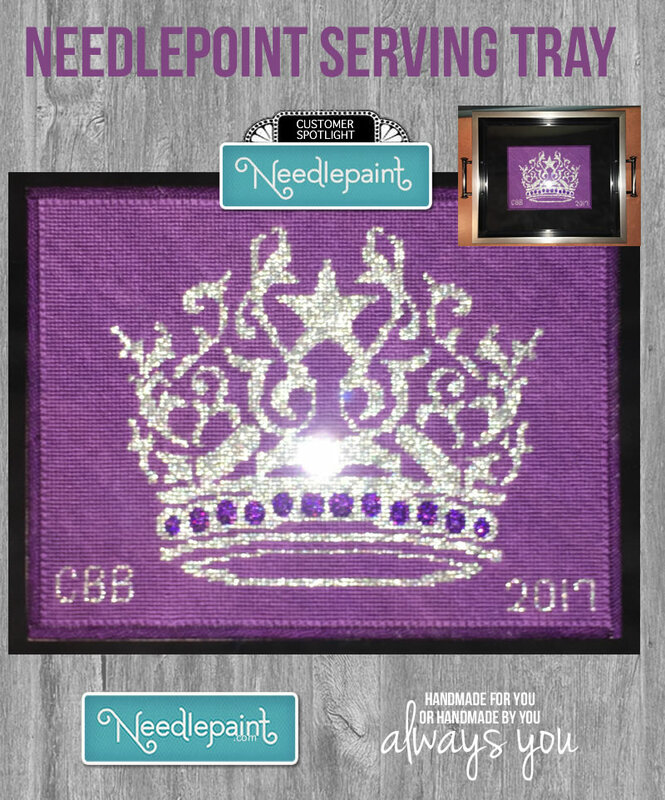 We’ve got dozens of designs under our Christmas Needlepoint theme that are made to be personalized, and of course we’d love to design something custom for you! 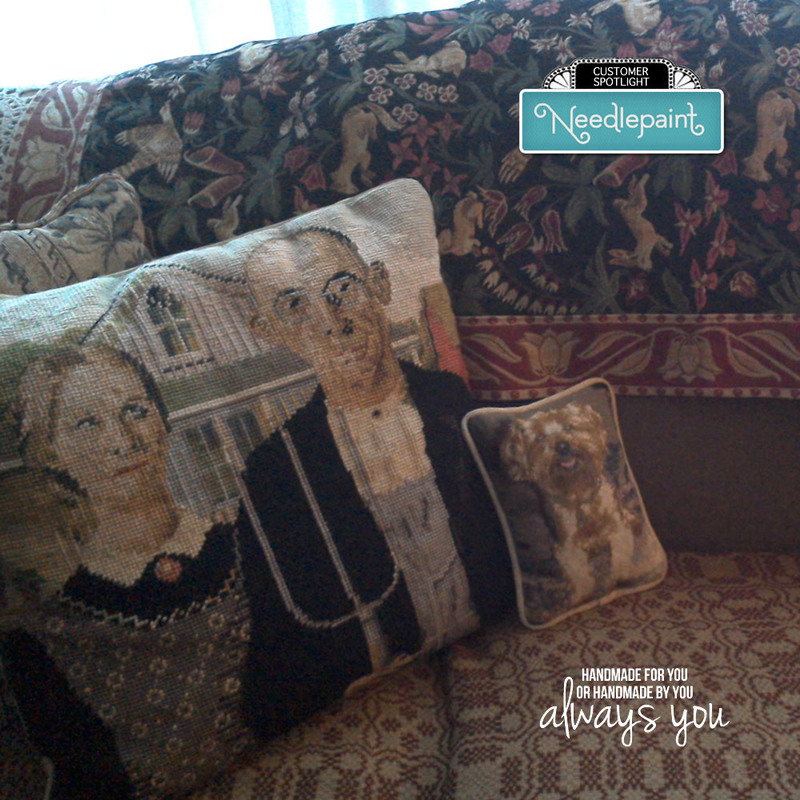 Last but not least, for the more experienced stitcher, you can Needlepoint your own Photo! Most popular are dogs and cats. 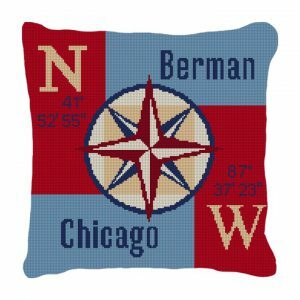 We’ve also done hundreds of homes, landscapes, and art needlepoint projects. These can be turned into a pillow or hung up on a wall. 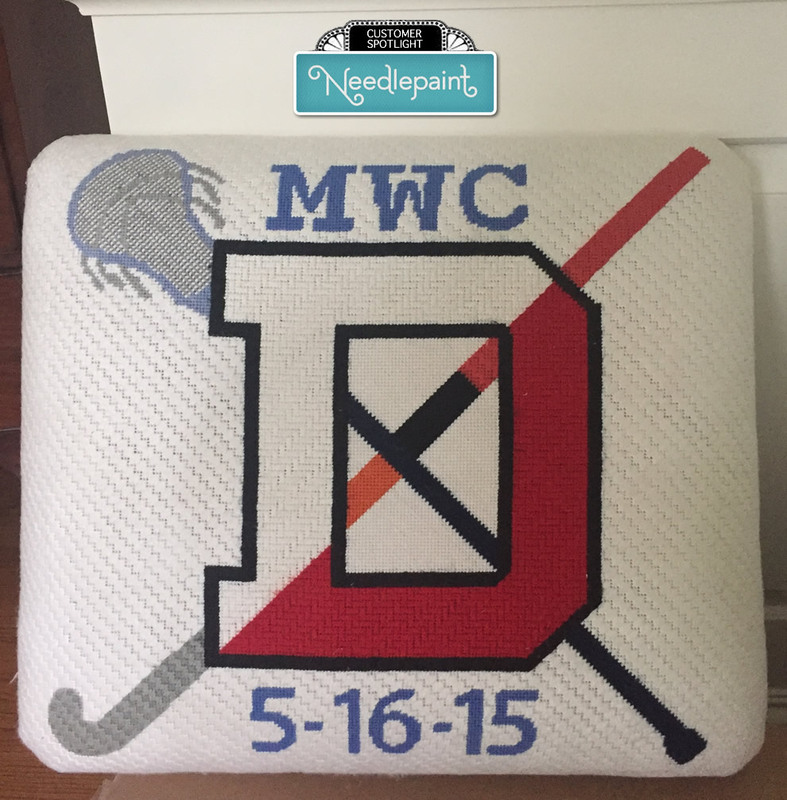 We now offer Pillow Finishing and if you don’t needlepoint, even offer fully stitched custom needlepoint pillows. 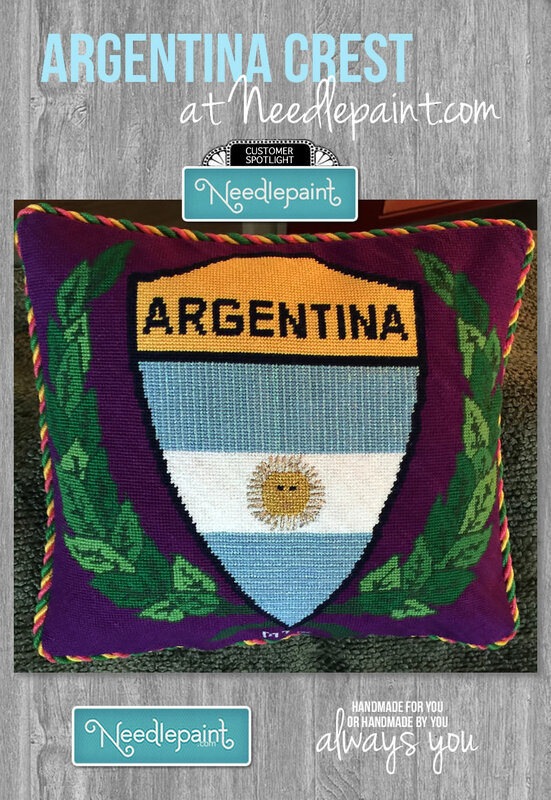 ***Custom needlepoint kits available with standard shipping until Dec. 12th. Our order deadline for fully stitched products in 2016 was Nov. 1st. But we do offer custom designed Gift Cards that show your design that is being stitched, so you would not be empty handed if you decide to give the gift of needlepoint but don’t have the time to stitch it yourself. 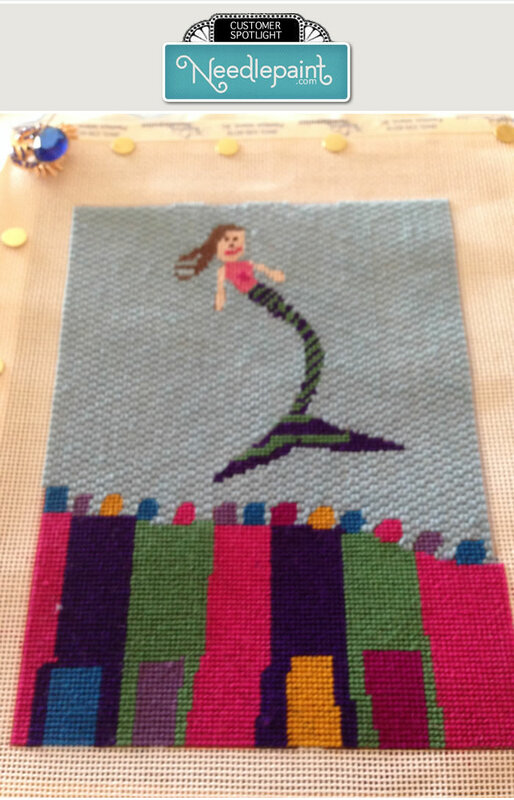 Also, a special thanks to Jen in VA, who stitched the two custom needlepoint projects below! Thanks and happy holidays to all! 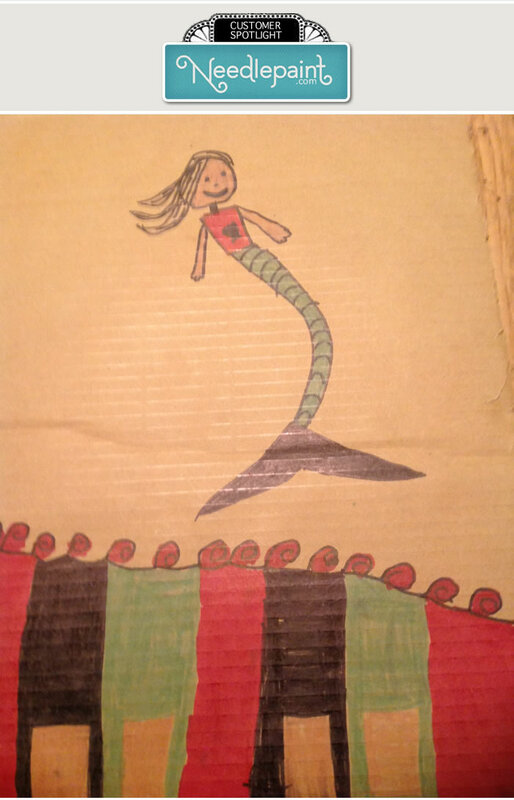 We designed an amazing project for Hallie in VA recently and I am excited to share the story! 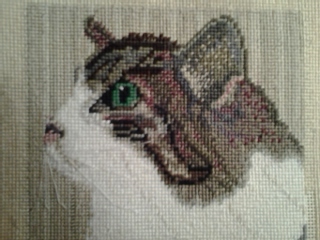 She wanted to stitch a needlepoint bell pull that is 38 inches long x 8.5 inches wide, on 18 count canvas. 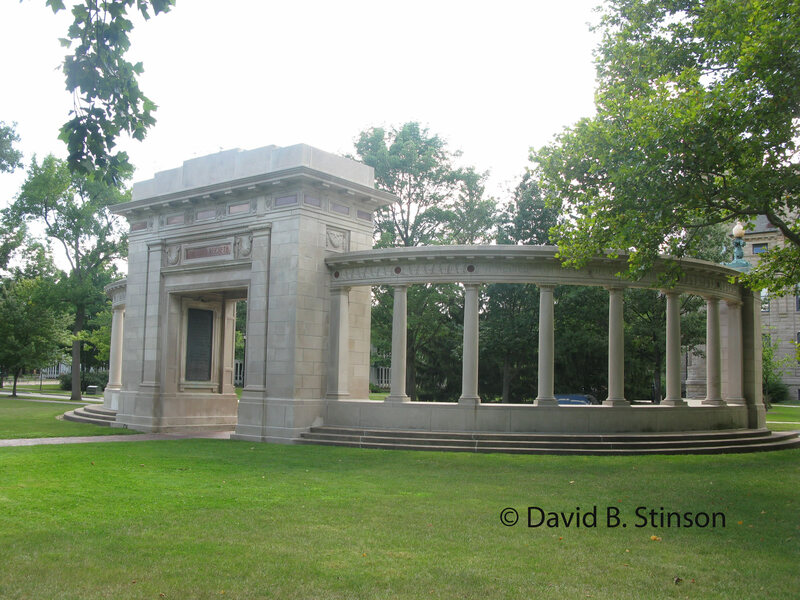 This is something special for two Oberlin College grads that are married. 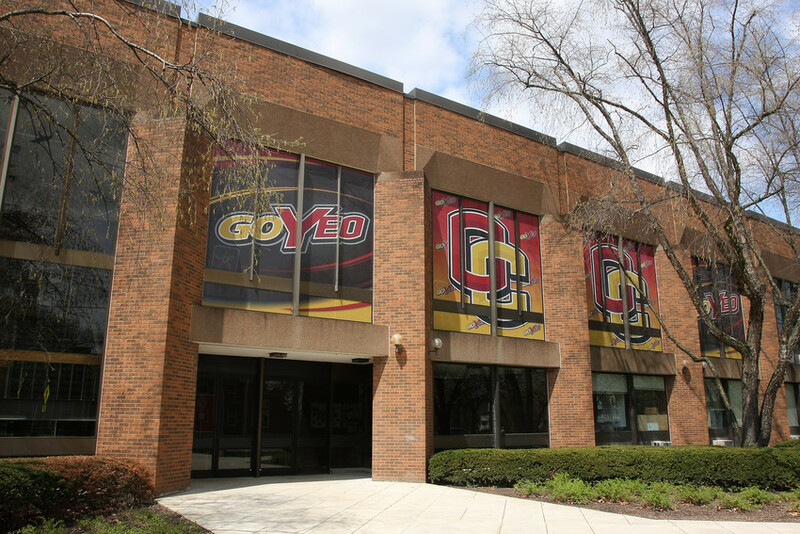 It will be a cherished decoration to go in their home and features some campus highlights and sports memories. 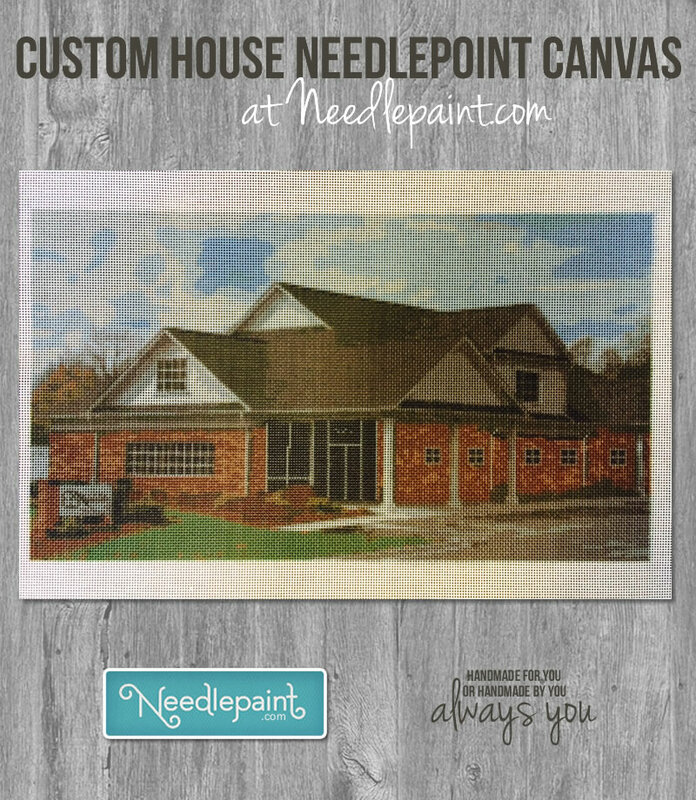 If you are interested in how we create a really unique custom needlepoint canvas like this, please read more details about how this design was created below. 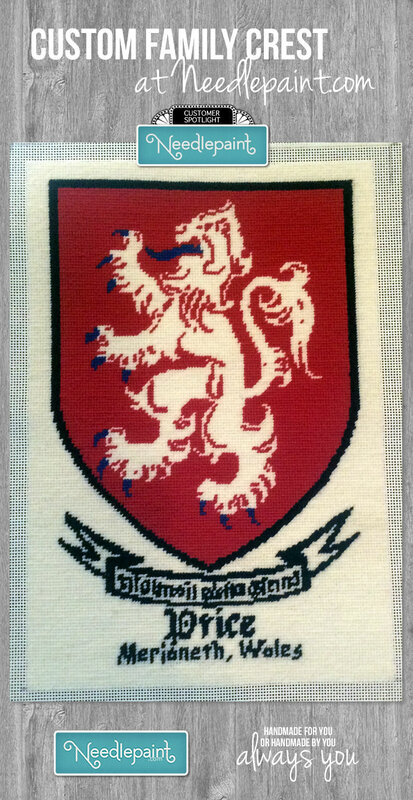 First, the photo of the custom needlepoint bell pull canvas! Hallie emailed us the names of some buildings, and a lot of very specific details about how to layout the design and where to place the images, (including the drawing below). Then we reviewed what would work best, including straightening out the photos, so the buildings will look better in needlepoint, and some design ideas for the sports. Next I found some images online of the buildings she requested, which she picked her favorites and then we got started! You can see the building images we used for reference below the template, and then the digital preview we sent to her of the design for her approval. 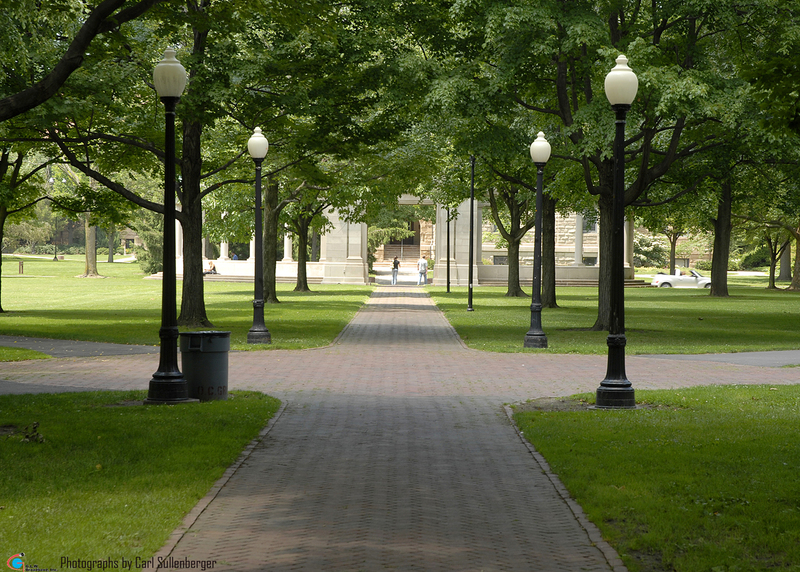 We emailed the preview to her and made a few minor revisions (made the trees in fall colors and adjusted the spacing of the college name so the top can be rolled over a pole). I can’t wait to see this when it is complete! I guess you could say that I come from a DIY family. There has always been someone doing some project or another. As a teenager, my father had me grouting tile and my mother had me making all of my own clothes. My siblings were likewise involved, as were my aunts and uncles. 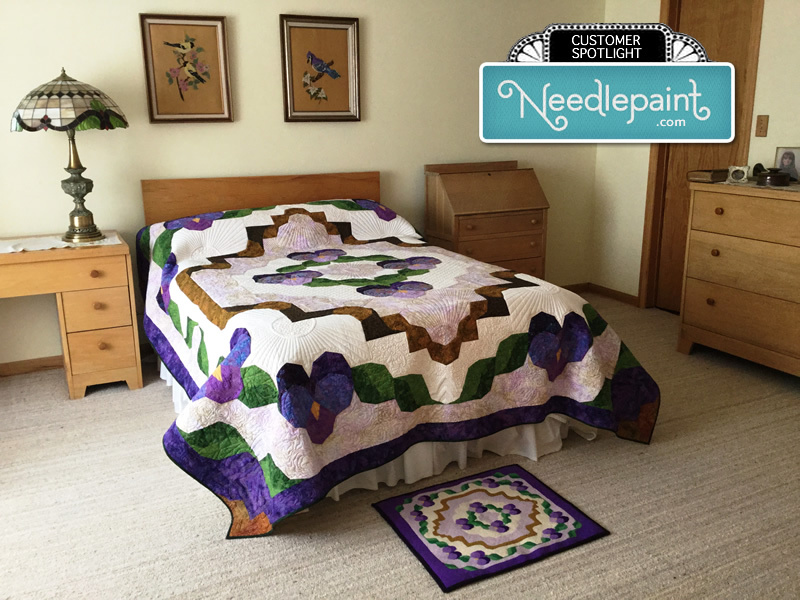 The DIY nature of the family was brought to my attention when I showed my daughter-in-law this picture of the Pansy quilt and rug. As I mentioned in my previous post, my sister Mary Sue Suit (https://marysuequiltgallery.wordpress.com/) designed and pieced the quilt, Judy Woodworth (http://www.judywoodworth.com/index.html) did the quilting, and I made the needlepoint rug using our website www.NeedlePaint.com. The furniture was made by my father at the end of World War II. My Uncle Frank took up leaded glass after he retired in the ‘70s and the Tiffany lamp is one of his. The embroidered bird hangings were stitched by my great-aunt Mrs. Jo. Mrs. Jo was a nurse who served in France during WWI. She took her lace tatting everywhere with her on the coal-puffing trains of Europe. She complained that all her lace was grey and needed to be washed several time before it could be used. 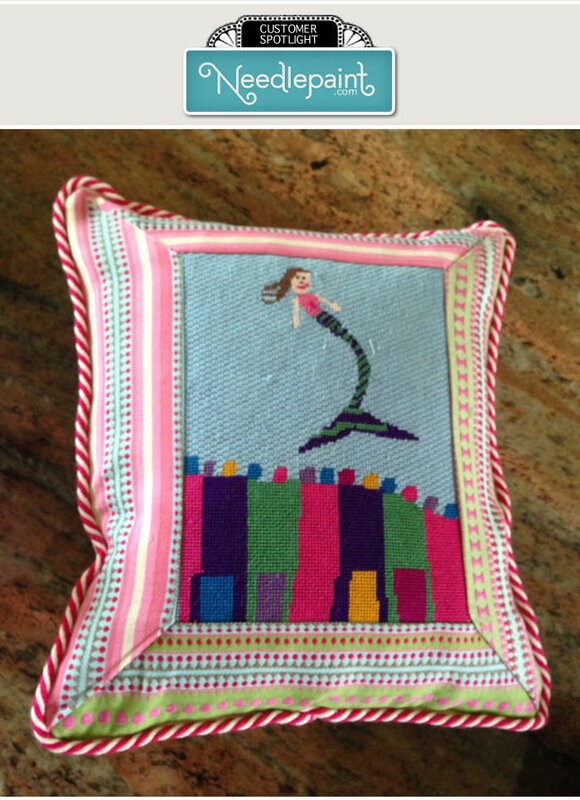 When she retired, nothing pleased her more than a needlepoint or embroidery project. When my mother would take her a new project, Mrs. Jo often would say to her, “Don’t you need to be somewhere else?” The signal that she was ready to be stitching…. This is an office building she is stiching and we helped touch up the facade.